April is Autism Awareness Month and The Autism NOW Center would like to take this opportunity to refocus the conversation from the clinical to the personal. In 2012, the CDC came out with startling new numbers indicating the prevalence of Autism in America and there has been much debate about the new edition of the Diagnostic Statistical Manual (DSM) coming out in May which will change the definitions of certain disorders on the autism spectrum. 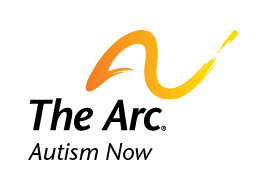 But The Arc and Autism NOW would like to use our platform during April to raise awareness about what the word “autism” means to the individuals who live with it on a daily basis. If you have trouble accessing these resources or if you have questions, please contact Shelly DeButts at 202-534-3710 or [email protected]. Date posted: March 4, 2013. Content created by The Autism NOW Center. Last updated: March 21, 2018.